It is rare that I get to do sewing for my son! It was his school Prom this month and he wanted to have a nice Tie for his suit and I decided I would make him one instead of buying one and that way it would be unique too! Can't believe he starts college in September insha'Allah. I also added a matching pocket scarf to match! 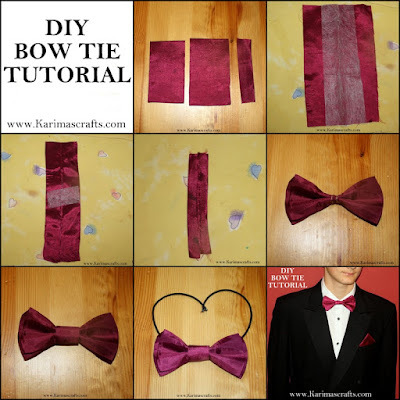 Step 1: Cut out 3 pieces of fabric. I did one piece slightly smaller, but you can keep it the same size. Approx size is 11cm x 24cm. The small piece only needs to be small about 8cm x 5cm. I originally cut it larger and then had to cut it down. Step 2: Add the interfacing if using, I used hemming webbing! Place enough in the middle and fold the large part halfway lengthways. Iron the fabric. Step 3: Once you have ironed the webbing place some more in the middle as in the photograph and then fold the ends down securing in the middle with the webbing and iron. Step 4: Repeat these steps with the 2nd piece of large fabric. Step 5: Place some webbing into the small piece of fabric and iron and make the centre piece for the tie. Step 6: Place the 2 main parts on top of each other and then stitch in the middle to secure the two pieces together. 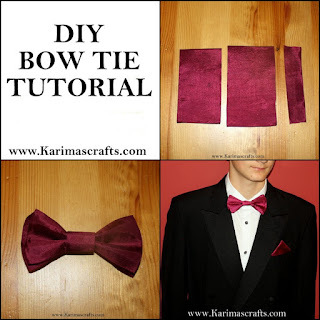 Step 7: Then place the centre part over the bow tie and stitch at the back. Leave a small gap to insert some elastic. 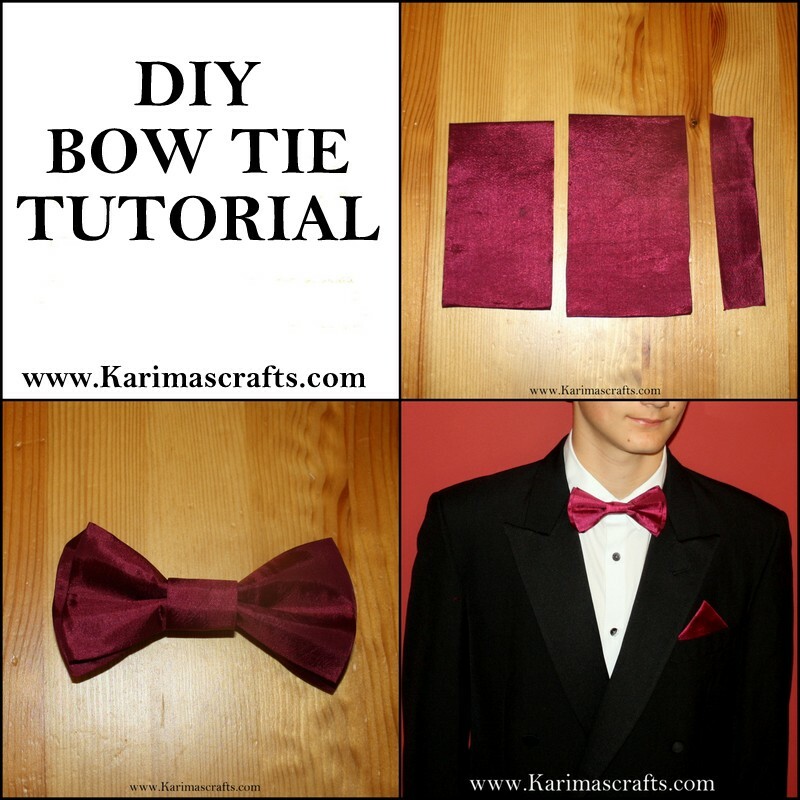 Step 8: Attach some elastic to the bow tie. Size depending on neck width. Step 9: Optional - with any remaining fabric you can make a pocket scarf.